Welcome, Maylin! Thanks for agreeing to talk to us. Should we get started? What is your favorite thing about yourself? Oh. Well, that’s kind of an embarrassing question. So-o-o … hmm. Okay, I guess I’m — wait, really? I mean, I hate to use up my pass on the first question but … Yeah. Pass. Much easier! I would be more — patient? When I have something on my mind, I can’t think about anything else. Even if there’s nothing I can do about it. Like right now, for instance. Anne’s father gave me Anne’s email address, but I have to wait until they get moved into their new house and someone sets up her computer and hopefully a phone. Right now we can’t video or talk or even write because Dark Ages! How did people even live before technology?! It’s only been one day — and I probably only have to wait a day or two more — but I can’t take my mind off it. It’s a problem. I need to talk to her. When she finally logs on, she’s going to see about 50 emails from SO-not-patient me! You talk about your mom in A Brief Stay at Earth Human Camp, and we meet her at the end of camp. Who else is in your family? *shrugs* My dad’s not really in the picture, you know? It’s okay that you asked, but I don’t really want to talk about him. And I totally hate it when someone gets all “oh I’m so sad for you” over that, so please, don’t be sad for me! I’m not sad so I don’t really know who you’d be sad for. I live with my mom and Aunt Mingmei (my mom’s younger sister) and I wouldn’t change a thing. No judgment! Sounds cozy! So what’s your favorite thing to do together as a family? 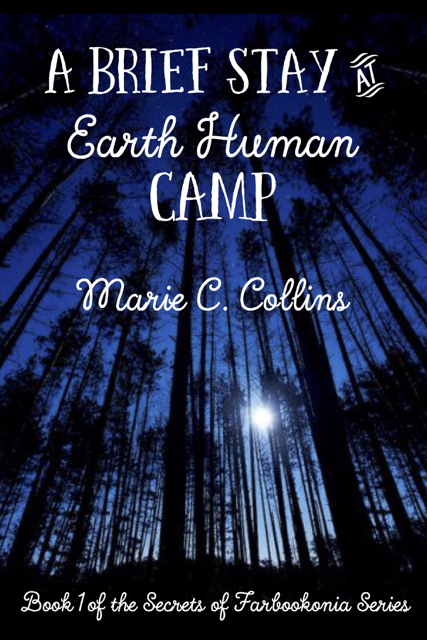 In A Brief Stay at Earth Human Camp, Anne and Atticus go to camp for the first time. But you’ve spent other summers at the same camp. How was this summer different? Wow, how wasn’t it different? Did you ever do that thing with two magnets where they snap together? That’s how Anne and I became friends. It was instant. I never had a friend like that before. But really, everyone was different — and not just because we were a year older. I think because Anne and Atticus were new and questioned everything, we all started asking ourselves the same things. Like yeah, why is so-and-so always so mean? And why do I hang out with this person and not that one? You know? It’s like we all suddenly realized we had choices — then these invisible gears rotated, shuffling people I already knew into this perfect group of friends! Who knew that was even possible?! Amazing. And that doesn’t even touch on the bad stuff (which Marie said I shouldn’t talk about by the way). So the short answer? Before and after. My life will be forever divided into what it was like before this summer and whatever comes after it. It’s pretty clear from A Brief Stay at Earth Human Camp that you really like science fiction. A. You can say it. It’s okay: I’m a little obsessed. No, wait — you can’t be “a little” obsessed – obsessed means “a lot,” right? So okay, I’m just obsessed. I don’t skip meals or not do my homework because of it or anything, but I’m definitely into it. Wait – what was the question? I haven’t asked it yet! If you could be in any science fiction movie ever made, what would it be. Wow. Okay. Right back to before and after. Up until this summer, I would have said Star Wars. I wouldn’t want to be a character though. I’d want to be a techie behind the scenes — the one in charge of the robots. I kind of have — had — a thing for C3PO and R2D2. Dream job: Keeping the robots in line. But that’s all changed. You do get that my very own life became science fiction this summer, right? For as long as I can see into the future, I think reality’s going to be enough for me — it might even be more than I can handle. Okay, you’re right. This is a no-brainer. A robot? All right, Maylin. Thank you so much for talking to us today. 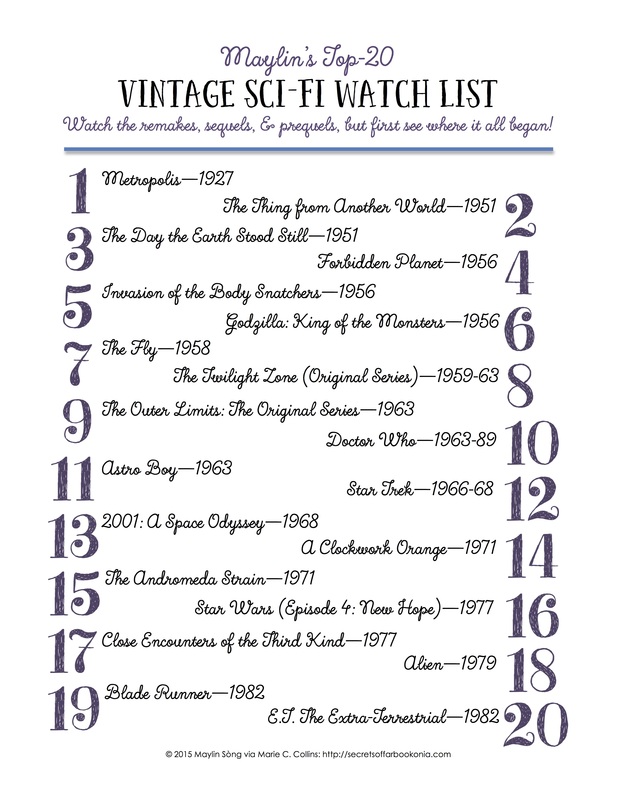 In A Brief Stay at Earth Human Camp, you promised Anne and Atticus you’d send them a sci-fi watch-list after camp, and I understand you’re going to share it with us, too. Is there anything you want to say about it? 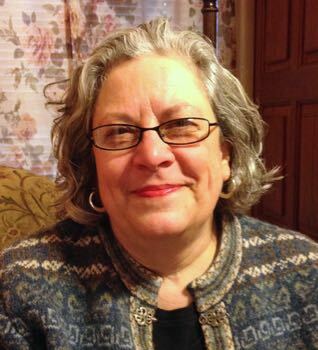 This entry was posted in authors, Blog Hosts, Blog Tours, Double Decker Books and tagged Blog Hosts, Blog Tours, Double Decker Books. Bookmark the permalink.